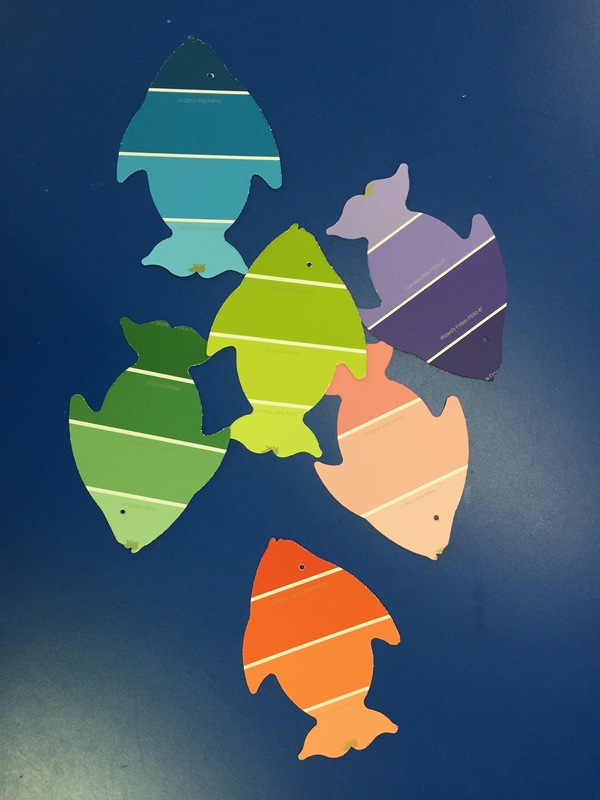 As promised from my Ocean Classroom post, here are my DIY tutorials on how to make some of the decorations in my classroom. 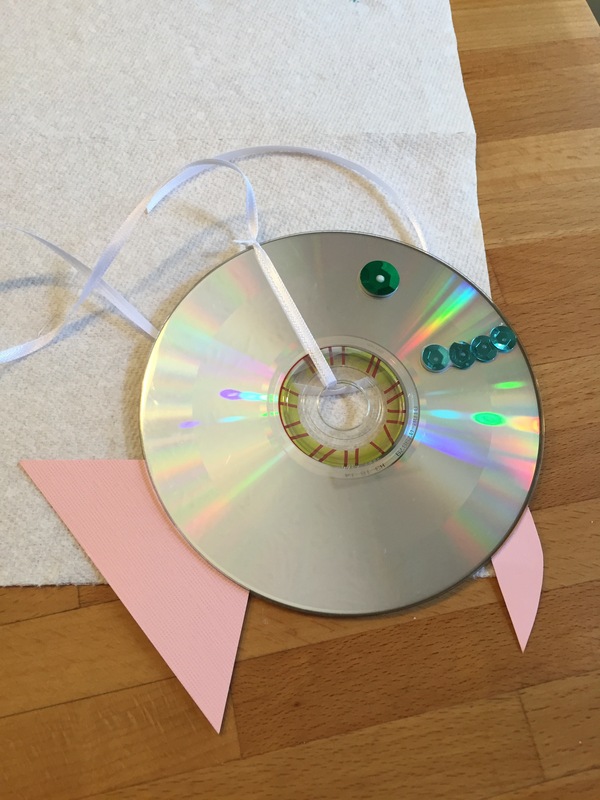 They’re all super easy and low cost projects that I really enjoyed working on. 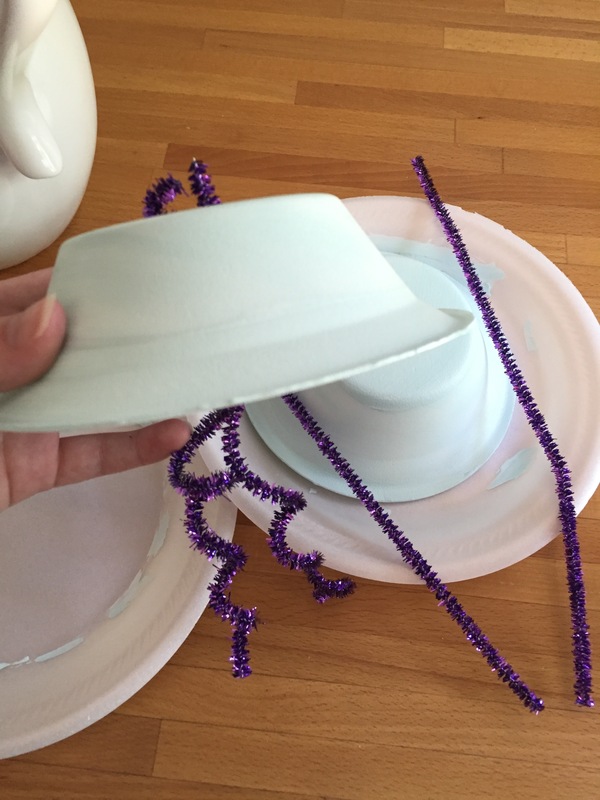 All you need for this jellyfish craft is a bag of Styrofoam paper plates (super cheap at Wal-Mart), some craft paint, foam brushes and then you can get to work. I chose a few different colors and paint the inside and outside of the bowls. Twist some pipe cleaners to look like the tentacles of the jellyfish. 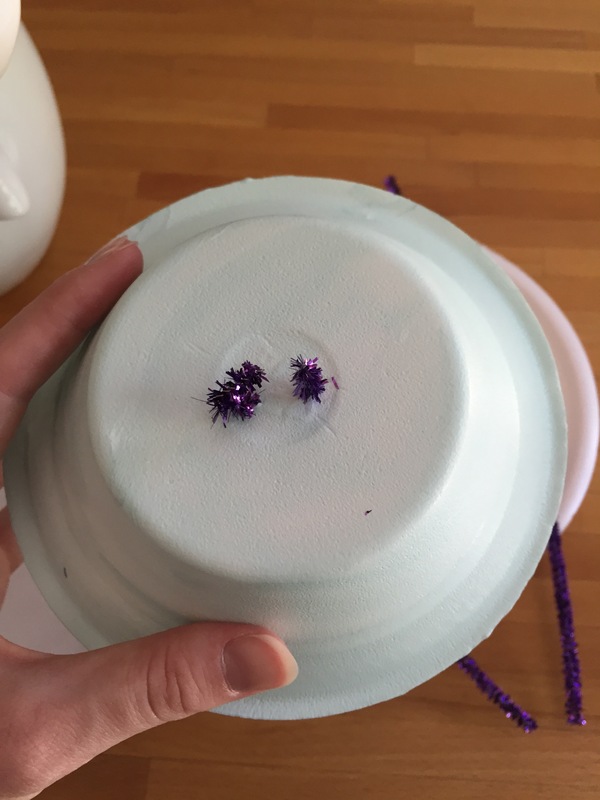 Using two pipe cleaners, poke a hole in the top of the Styrofoam and then twist the two pieces together. Here’s a better look at the pipe cleaner step. 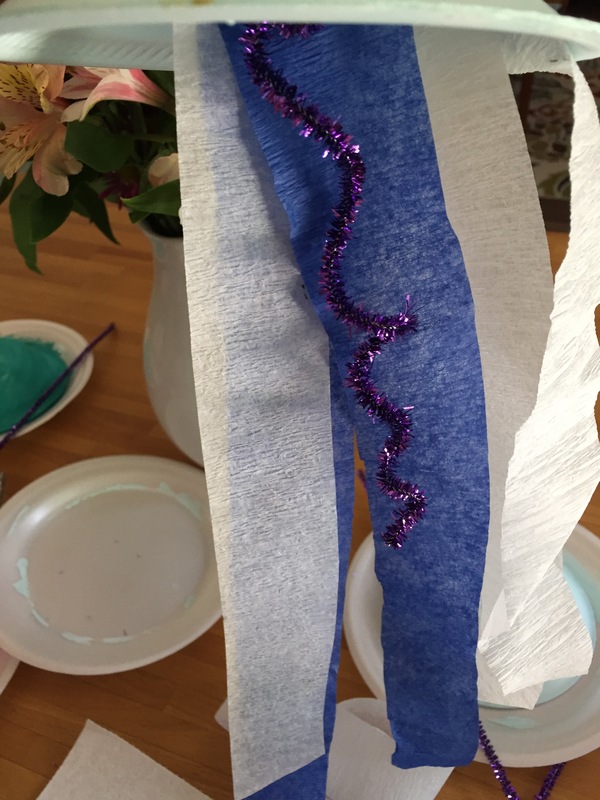 Cut a few strips of various colors and length of streamers. Another cheap buy at Wal-Mart or any dollar store. Staple them to the outside of the bowl. 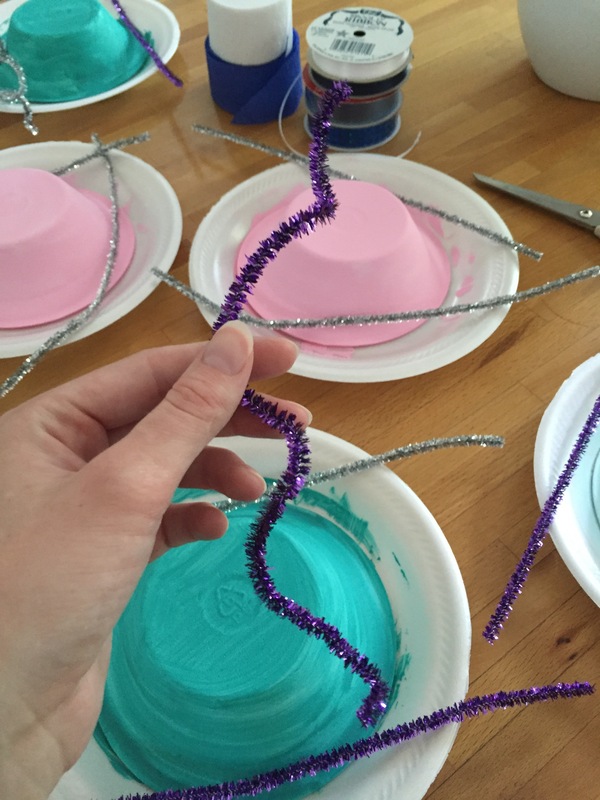 Attach a few streamers to the pipe cleaners with staples. 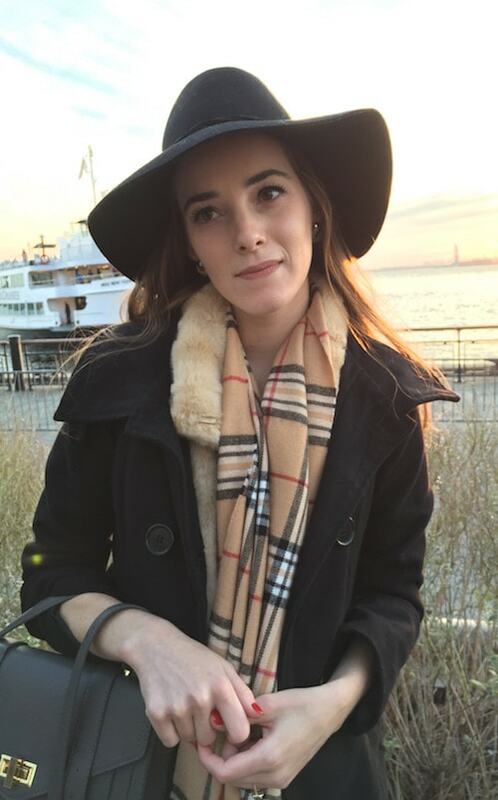 Add a few sparkles and sequins. 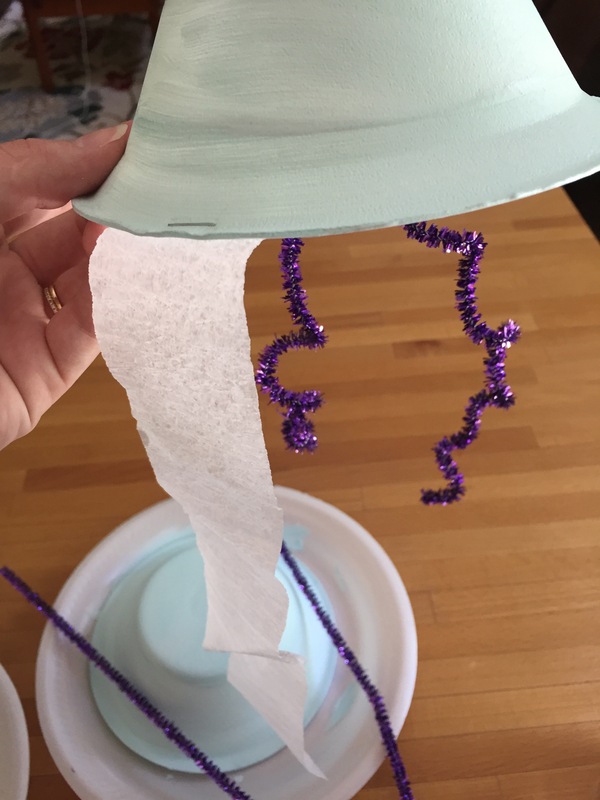 Then I added a ribbon to the top of the jellyfish so it can be hung from the ceiling. 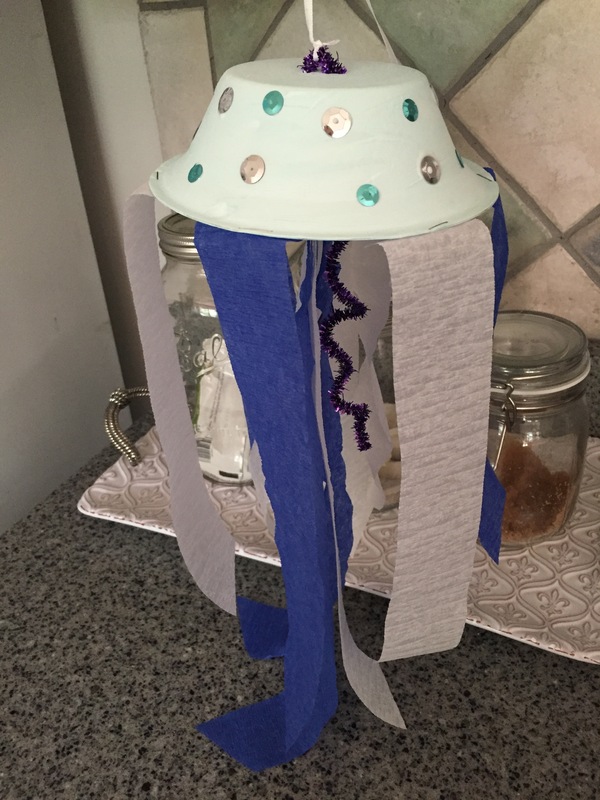 And there you have an easy jellyfish craft. 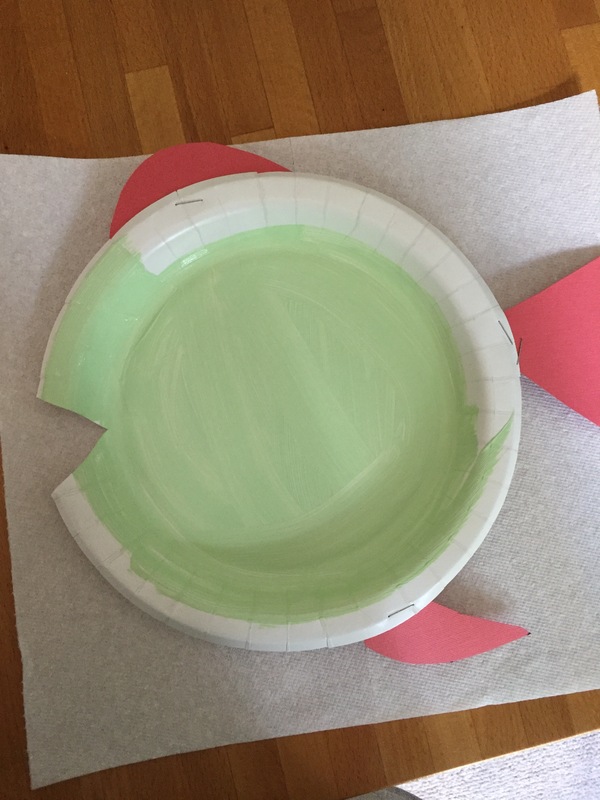 All you need are a few paper plates, paint and construction paper to make the fins & tail. 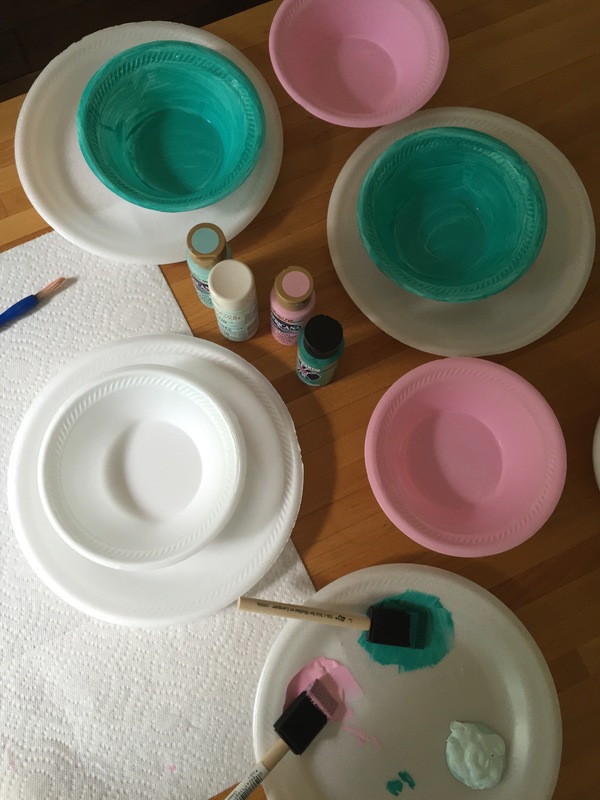 I painted the plates various colors and let them dry. Then I stapled the fins and tail to the plate. 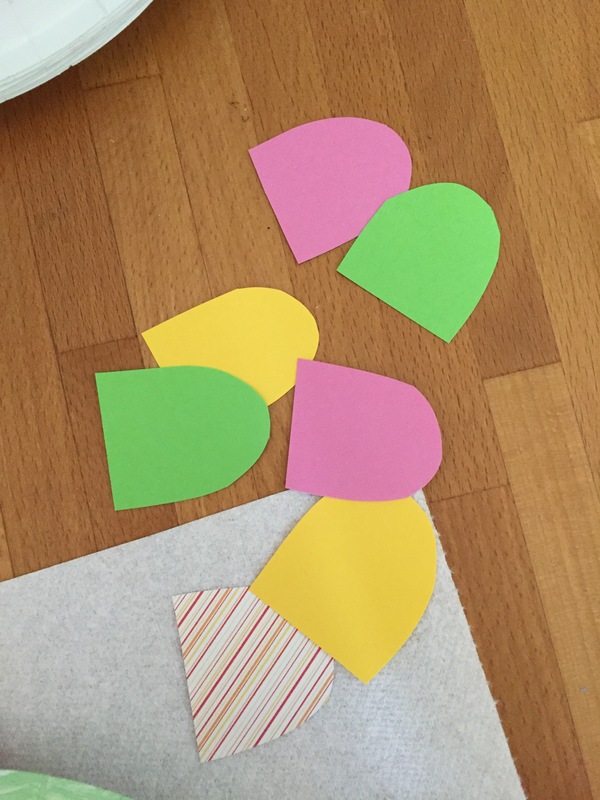 I made a pattern and cut out scales from scrap book paper and various colored paper. 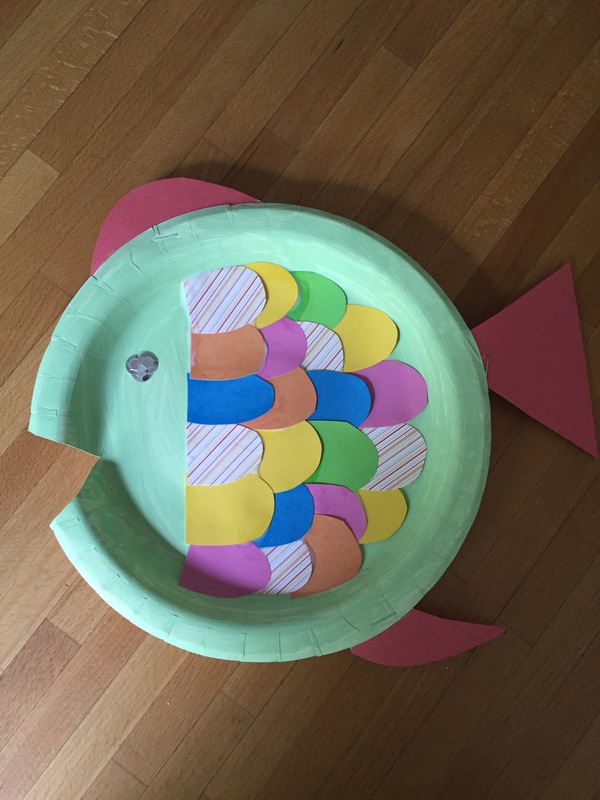 Using regular glue, I glued the scales onto the fish, added sparkles for eyes and made sure a mouth was cut in the paper plate. These look really cute on the bulletin board! I had a ton of old CD’s that have been sitting around for years. I glued two together, added some sparkles for the face and construction paper as the tail. I added a ribbon to the top of the fish so it can be hung from the ceiling. 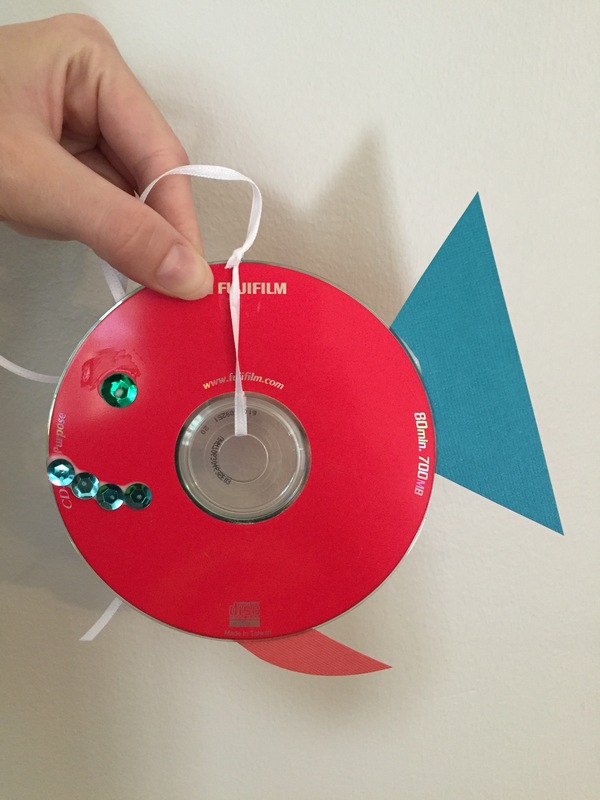 You can also make this fish into a mobile by adding a couple of fish together. This is a super easy decoration, because all you need are a few leftover paint color swatches. Just die cut them into fish and you have an easy addition to your ocean bulletin board.